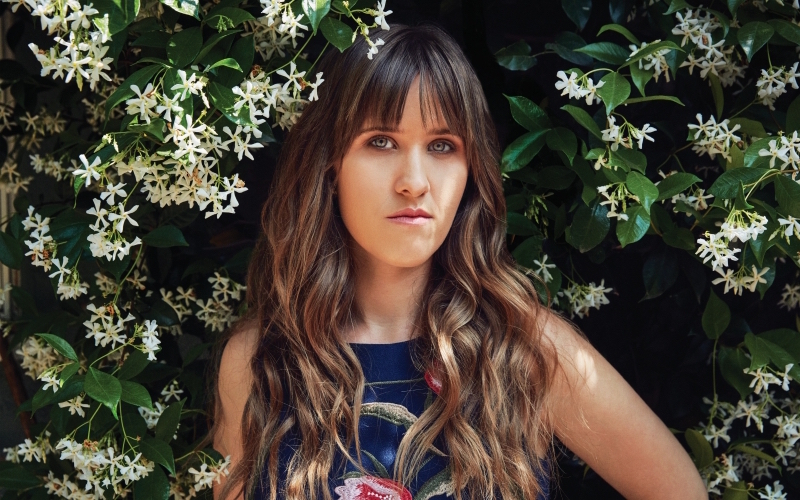 Singer-guitarist Amber Coffman is among the transplants. When Dave Sitek of New York indie rock group TV on the Radio first moved to Los Angeles in 2008, “it was kinda dead out here,” he recalls. “Everyone thought I was crazy.” But back in Brooklyn, where his band had gotten its start, rents were skyrocketing; the old warehouse spaces where TV on the Radio and its contemporaries, bands like the Yeah Yeah Yeahs and the Strokes, could live and work on the cheap were rapidly being converted into condos and restaurants. A decade later, a growing number of musicians have joined Sitek in what has become an exodus of talent from New York to Los Angeles. Current and former members of such iconic New York bands as the aforementioned Strokes, Vampire Weekend, Grizzly Bear, and Dirty Projectors now call L.A. home. “They all live here,” author Lizzy Goodman told L.A.-based comedian Marc Maron on his WTF podcast last fall, referring to the many bands and musicians she interviewed for her oral history of the New York rock scene in the 2000s, Meet Me in the Bathroom. For many musicians—even those who have enjoyed some commercial success like Sitek—cost of living is one of the biggest motivators in the migration west. Despite L.A.’s soaring rents, the city remains more affordable than its East Coast counterpart. But there are deeper industry trends at work as well. When she needs a break from seclusion, Coffman enjoys having a community of other musicians nearby, made up in large part of fellow expat New Yorkers. She can visit her friend Rostam Batmanglij, formerly of Vampire Weekend, to “bounce around ideas,” then go catch a show at Zebulon, once one of her favorite Brooklyn venues—which lost its original Williamsburg space in 2012 only to reopen in L.A.’s Frogtown neighborhood last year. Sitek, a self-described recluse, appreciates the relative anonymity he gets from living in what he half-jokingly calls “the sticks”—a suburban stretch of the city he declines to name. “I don’t think anyone who lives within a mile of me has even heard of Sonic Youth,” he says.